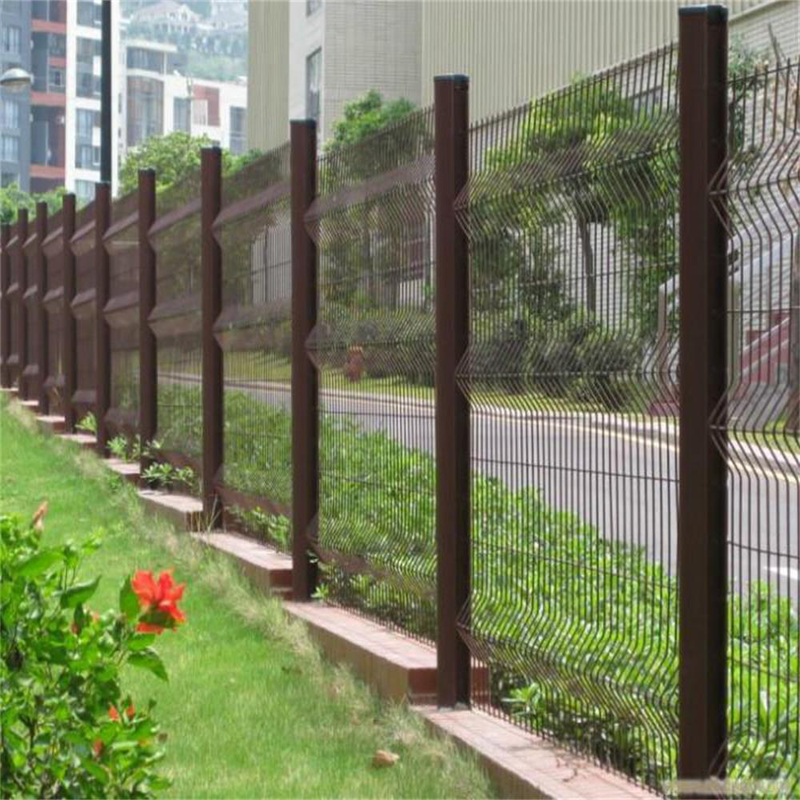 Product categories of Triangle Bending Fence, we are specialized manufacturers from China, Triangle Bending Fence, Triangle Bending Bend Fence suppliers/factory, wholesale high-quality products of Triangle Bending Fence Wire Mesh R & D and manufacturing, we have the perfect after-sales service and technical support. Look forward to your cooperation! Triangle Bending Fence is an economical version of the panel system, constructed from a Welded Wire Fence with longitudinal profiles that forms a rigid fence.Due to its simple structure ,easy installation and nice appearance,more and more customers regard this product as the preferred common protective fence.Triangle bending fence is one of the most important ways to keep your home safe and secured from all forms of attacks by armed robbers and so on.with it's smooth surface,not fading,not cracking.For garden fences, decorative fences, security fences, expressway, railway, Barbed Wire fences, Chain Link Fence, expanded metal fences, etc.